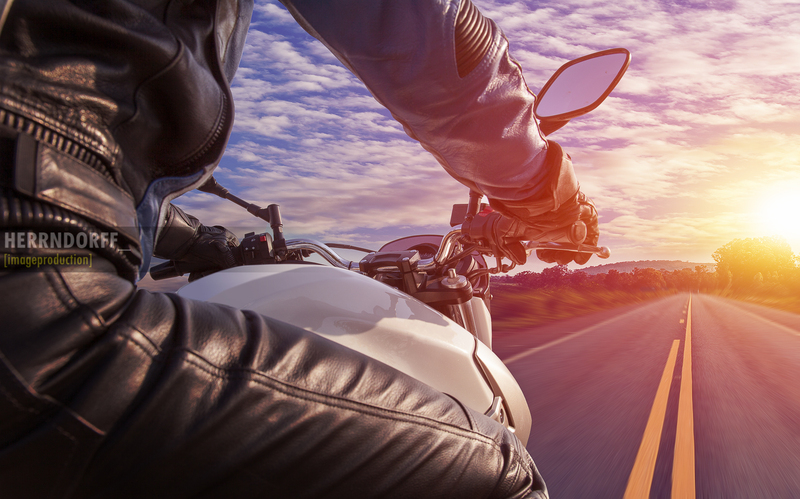 What could be better than riding a motorcycle into the dusk on a warm summer evening in late summer? The evening sun bathes the landscape in its gold-orange light, the warm tarmac shimmers on the horizon. Fresh air with every breath. 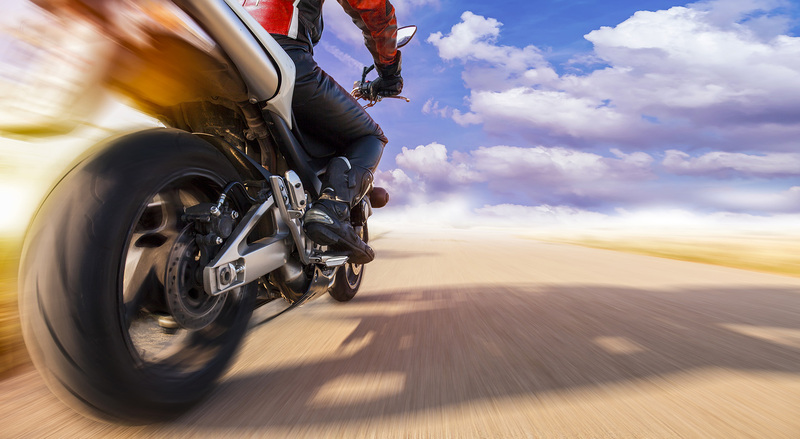 This is the romance that most motorcyclists love to around theirselves. And exactly this unique atmosphere should be transported in our series of pictures. 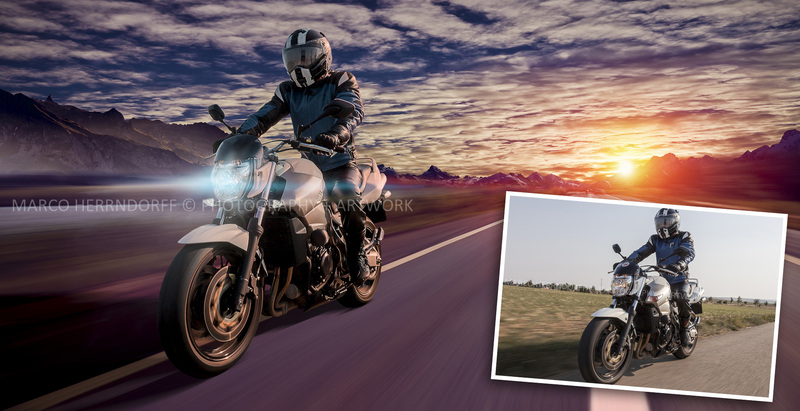 Some shots were taken as so-called rolling shots, in which the photographer photographed out of the open trunk and others have been taken in the stand and got the necessary dynamics later in Photoshop.